This clock is made of plastic. 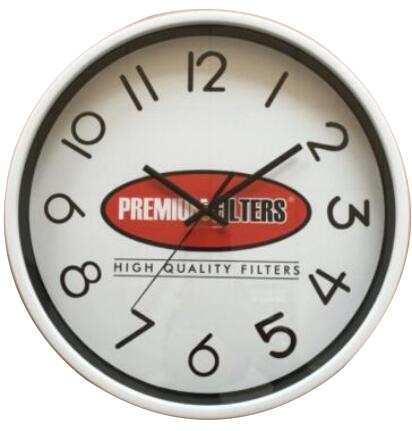 We can accept imprint on all dial plate.The clock face is so delicate due to the glass material. It is suitable for gift and promotion. And our quality control department is responsible for quality checking in each process. We can customize that you like.